This water dispenser is ideal for a home or office environment as it is not only easy to use but also features a easy access design that is convenient for use. This water dispenser has safety lock for the hot water tap. Easy to use and has storage cabinet. This Bruhm Hot & Normal Water Dispenser is practical and easy to use. Apart from its practicality it also offers the option of dispensing room temperature and Hot water. Also it has storage cabinet. Very ideal for home and commercial use. 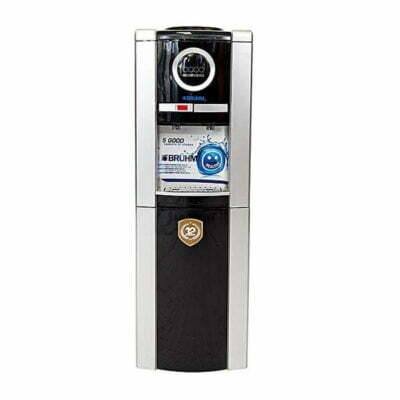 This water dispenser is as handy and convenient as they come‎.‎‎ It also features an anti‎-bacterial design that ensures the water stays clean and safe with silicon pipes and stainless steel water tanks.